One of the strongest weapons to fight the illegal harvest and trade of timber is information. Increasing the knowledge and data surrounding tree identification and tree harvesting can “strengthen the capacities of civil society organizations, governments, and the private sector to detect, identify, and sanction illegal logging,” said Ruth Noguerón. She is a Senior Associate at the Forests Program with the World Resources Institute (WRI). To develop the crucial databases, WRI has worked with citizen science organizations to bolster civic participation in the sample collection process. The Global Forest Watch Initiative gives citizens an easily accessible, mobile friendly forest monitoring platform—the Global Land Analysis and Discovery (GLAD) alert system, said Noguerón. This mobile app makes it easy for people to collect data, take pictures, and record information regarding tree loss in real time, said Noguerón. Equipping civilians with the tools and information necessary to monitor compliance will force illegal logging out of the shadows and into the public arena where justice can be pursued, she said. Countries “that don’t have laws prohibiting the import of illegal timber very often have much higher percentages of illegal timber imports,” said Melissa Blue Sky, Staff Attorney at the Center for International Environmental Law (CIEL). While steps have been take to curb the import of illegal timber, even in the United States, where the Lacey Act prohibits the trade in illegally sourced wood products, about 45 percent of wood imports come from unsupervised areas. There is no way to ensure the legality of harvest without oversight, and some companies exploit this loophole. Therefore, enforcing demand-side laws is crucial, said Sky. Companies need to be able to prove that their wood is coming through legal avenues. Focusing on the financial crimes associated with illegal operations is another way to crack down on the illegal logging industry. Interpol’s Project Leaf initiative has partnered with its anti-corruption unit to target the tax evasion, money laundering, and corruption that help finance this illicit trade system, said Shelley Gardner, the Illegal Logging Program Coordinator with the United States Department of Agriculture (USDA) Forest Service. Gardner works closely with Interpol’s Forestry Crime Working Group. Environmental defenders face high risk, including death. 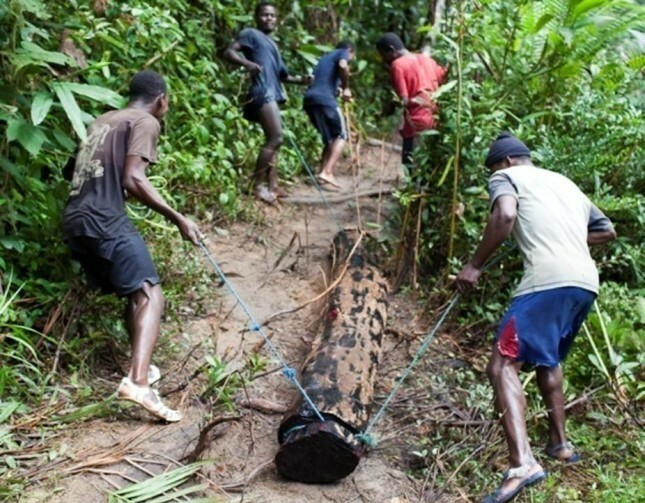 Ecosystems and communities suffer the negative impacts of illegal logging. How a community went from illegal loggers to forest stewards in Indonesia. China’s insatiable demand for timber wreaks havoc on producer countries. Illegal logging is one of the top environmental stories in Cambodia.